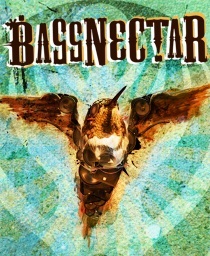 The show is part of the 2010 Summer tour celebrating the release of the Timestretch EP – available now in the little shop at Bassnectar Labs along with special collectors, DJ, and Tour packs. Grab the free music before the show from the sidebar… or head over to http://timestretch.bassnectar.net to check out the release. 100% bangers perfect for the prequel to the massive bassquake that will drop down at the HOB. Subscribe to the comments section for updates, as well as info about local openers.